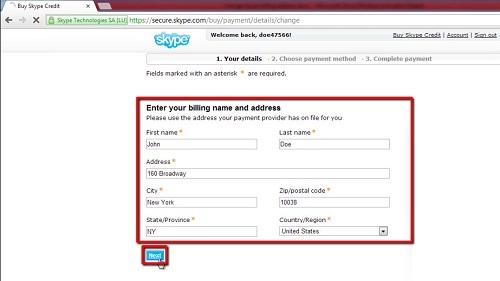 In this tutorial you are going to learn how to change Skype billing address. 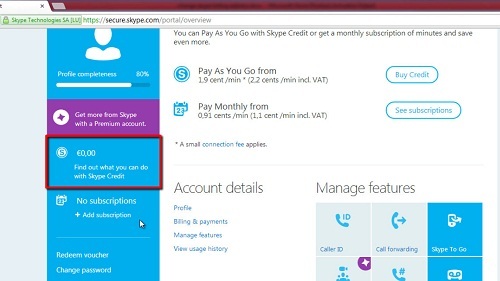 Sign in to your Skype account at “www.skype.com.” Click on your Skype Credit balance, found about halfway down the left side of the page, in the blue menu bar. A message box appears with a green “Add credit to your account”. Click this button. A new page appears where you must select a payment option. Select an option (it doesn’t matter which option you select). Click on the “Next” button underneath all the payment options. Your current billing address will be in the right hand sidebar on the next page you are taken to. Click on the “Change details” link that is present below your current billing address. Update your address details and click on the “next” button. Your new details will be saved as your new billing address. This is how to change your Skype billing address.